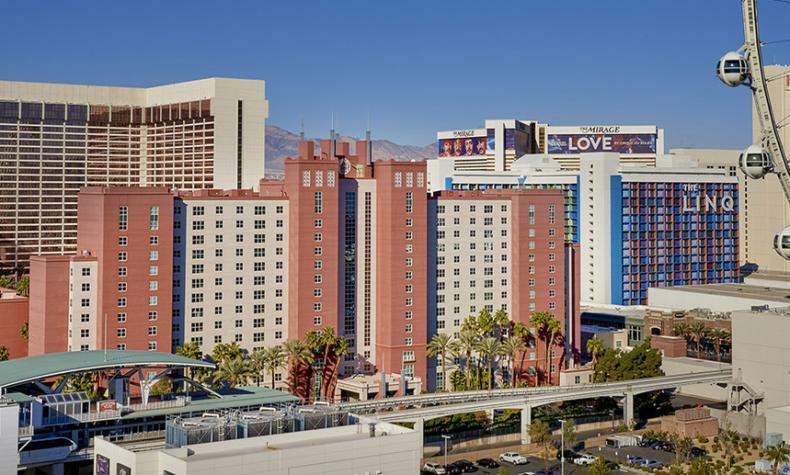 HGV at the Flamingo is located in the heart of the famous Las Vegas Strip within the extensive 15-acre Flamingo property. Enjoy access to Flamingo Hotel & Casino's GO Pool and our on-site pool and spa, fitness center, and Marketplace. Spacious suites are furnished with full kitchen, washer/dryer, king-size beds, a pull-out sofa, and oversized tub. Visit the concierge to book a sightseeing tour or make dinner reservations.